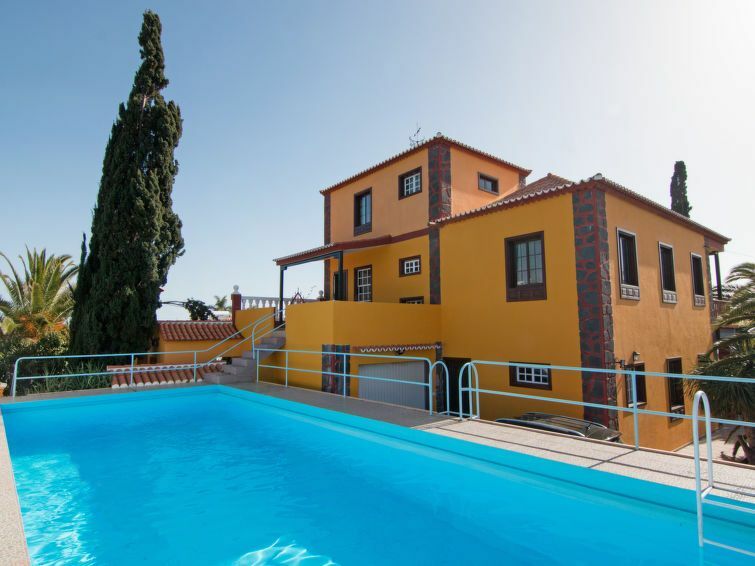 Las Norias: Beautiful, comfortable house "this property", 3 storeys. Outside the resort, 4 km from the centre of Tazacorte, residential area (villas). For shared use: natural garden 900 m2. Private: property, large garden, swimming pool (10 x 4 m, depth 150 - 200 cm, 01.01.-31.12.). Parking on the premises. Supermarket 4 km, restaurant 200 m, sandy beach "Puerto Naos" 4 km. Tennis 2 km. Groups of teenagers on request only.